The story of R&D Sieberg Appliances begins with a story of true craftsmanship. Roger Sieberg, has always been a ‘hands-on’ type of guy — with a background in machine design work for a bottle manufacturer, locomotive drafting and even for the US Air Force on radar proofing materials. In 1985, with a keen eye for engineering, Roger took possesion of a defunct washing machine and slowly began piecing it back together, just for fun. That one washing machine led to a part-time passion, as Roger gave appliances a second-life — keeping them far from landfills and scrap yards. Spending all of his spare hours in his basement workshop, Roger opted to make appliances his full-time career, opening up R&D Sieberg Appliances. It wasn’t too long before Roger grew out of that basement workshop and expansion began. Almost 30 years later,Roger and his family have gained quite the local reputation for providing economical repairs and high-quality used appliances. Their certified technicians service all of Central New Jersey on a daily basis and their parts inventory is the largest in the area. Their fairly priced used appliance inventory is a favorite to land lords and property managers and their high-quality stainless steel appliances are ideal for budget concious home-owners looking to remodel — all with quality warranties. 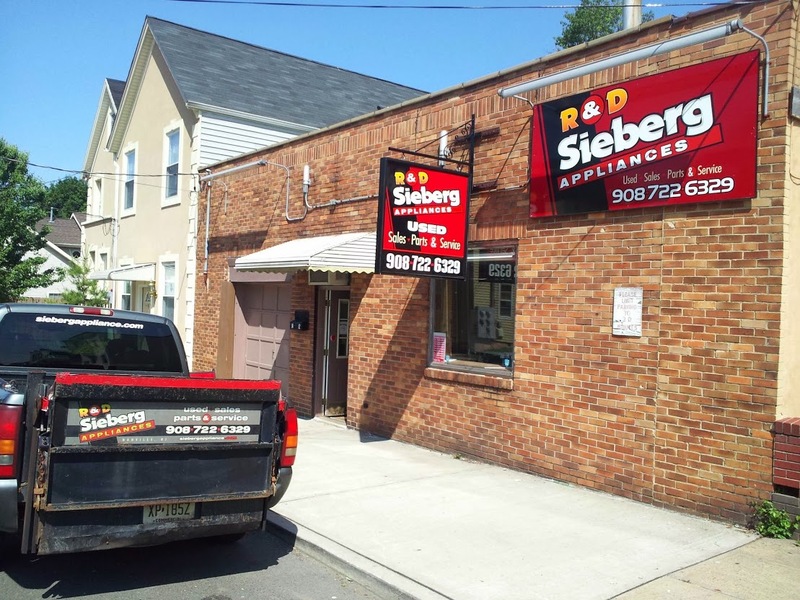 R&D Sieberg Appliances can help you with all of your appliance needs — but at the core they’re a family operation devoted to the needs of the community with a passion for what they do best. from 9AM - 1PM or 12:30PM - 5PM. Time of Day*When is best for you? Appliance Issue*Explain the problem in as much detail as possible, ie: 'Dryer does not spin'.